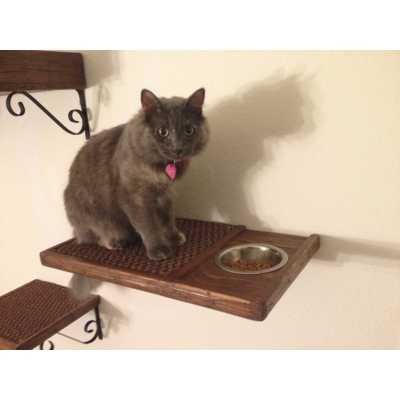 Our beautiful and sturdy cat feeders, shelves, and perch beds are made using reclaimed wood from shipping pallets.The iron brackets used to support the shelves are hand bent and welded to give a fresh, rustic look to the shelves as a whole. The brackets can feature a classic scroll design or the more modern straight line look. 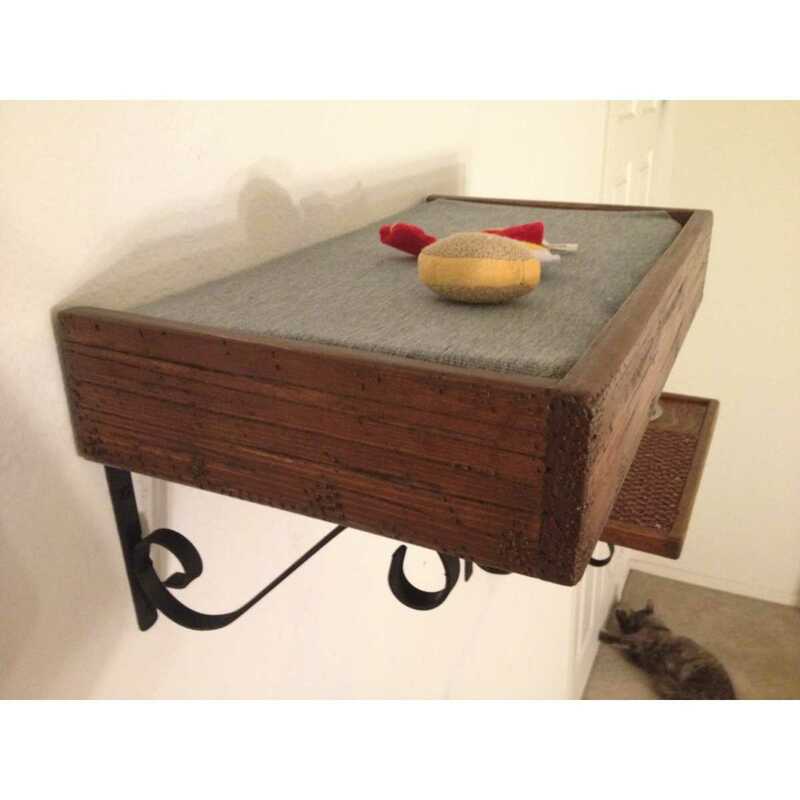 The cat shelf and cat feeder feature quality berber carpet so your kitty is comfy and classy while the cat bed features a soft yet supportive foam so your kitty can lounge and sleep in bliss. 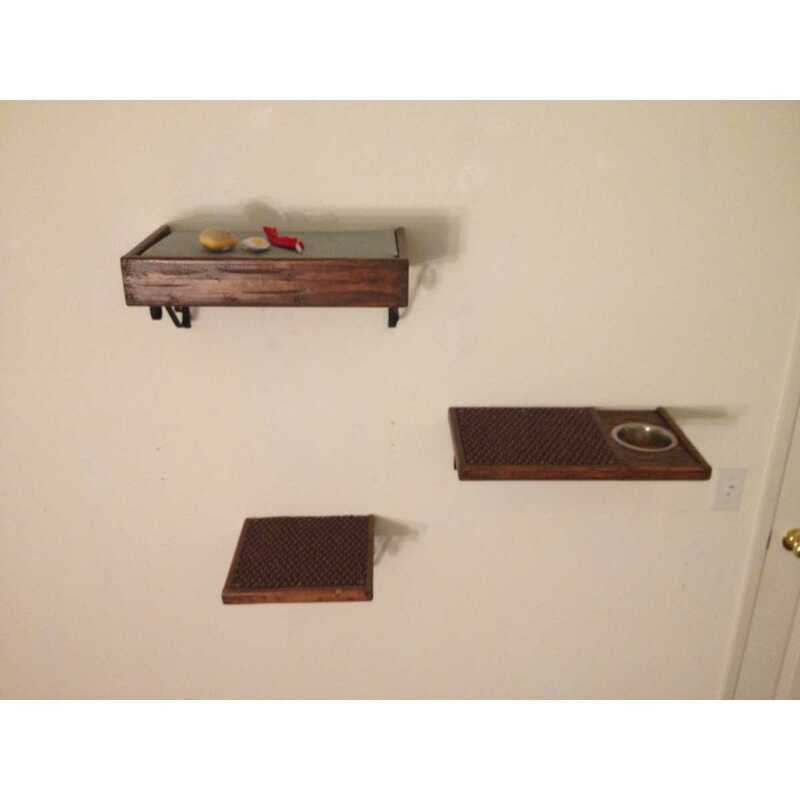 This complete set acts as a cat tree, a feeding area, and a high perch for your cat. 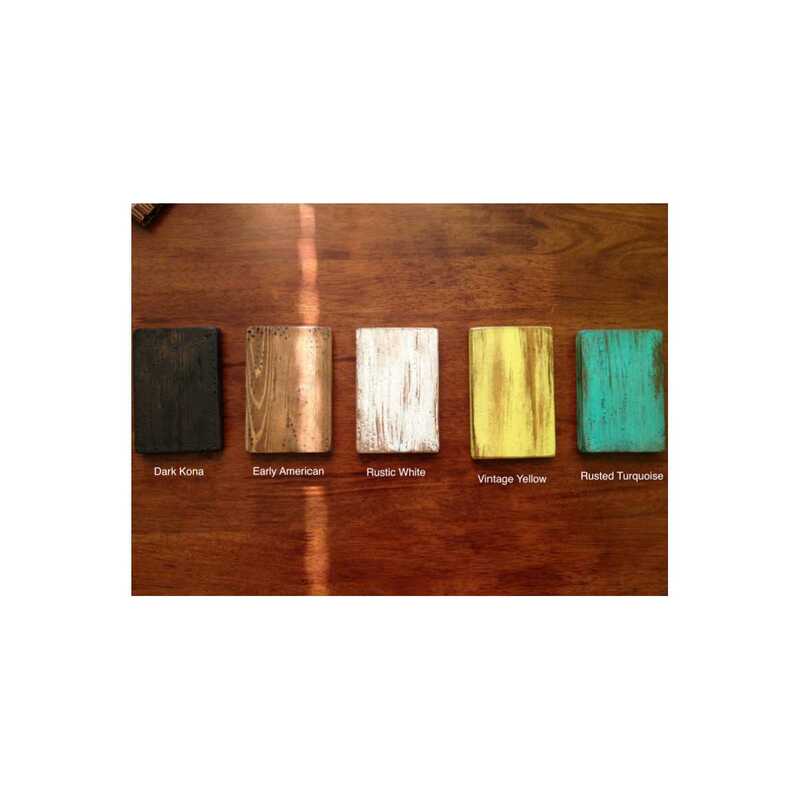 Each produced set varies slightly from the reclaimed wood used, which means every produced set of cat shelves/feeders/beds is unique. Our shelves and cat beds (when used with wall anchors) have been tested to comfortably and securely hold up to 50 lbs, perfect for any sized house cat! The carpet is installed with heavy duty decorative upholstery tacks, these have been cat tested for scratch strength. Polyurethane protective coat included, it makes the units shiny and water resistant! 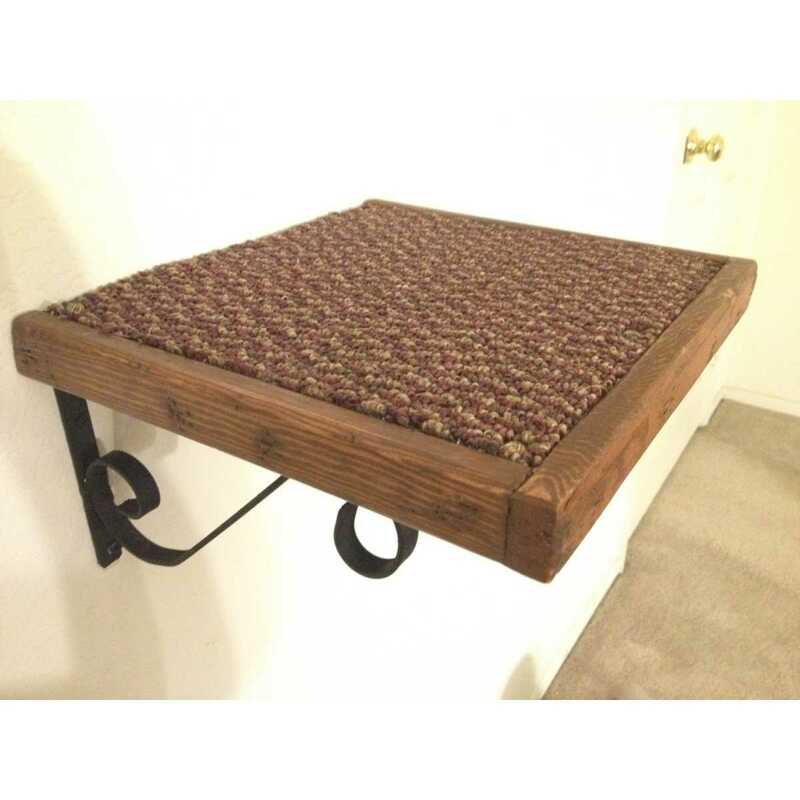 -Cat Shelf "Stepping Square": 11' Length x 11' Width x 1 1/2' Height. -Cat Bed "Perch Bed": 18' Length x 11' Width x 3 3/4' Height. 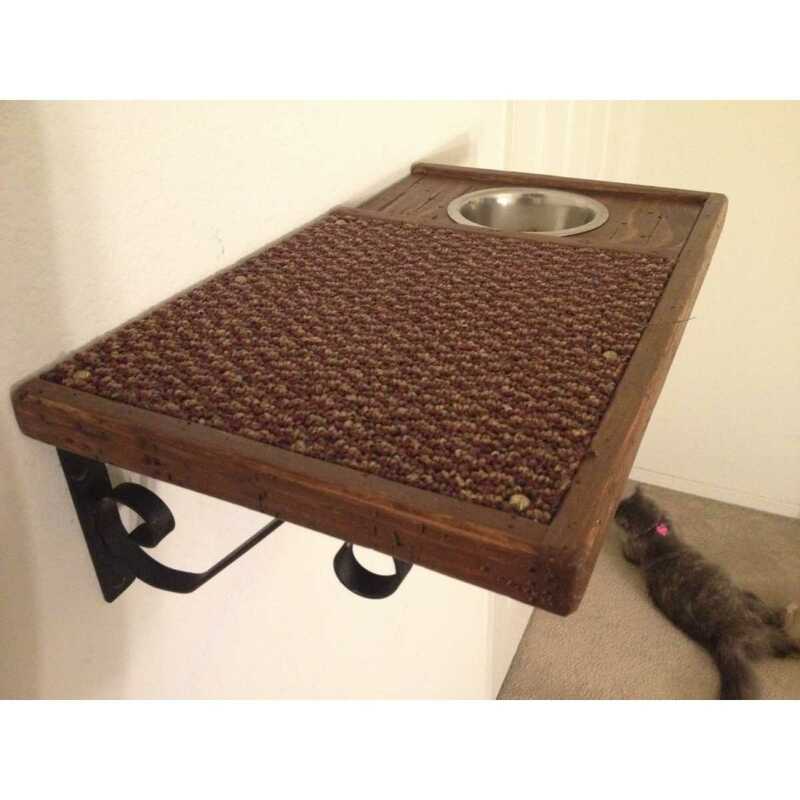 -Cat Feeder "Floating Feeder": 18' Length x 11' Width x 1 1/2' Height.